You Woke? Naw, You Still Asleep or Are You Just Blind? Are you blind? Can’t you see what is happening before your very eyes? I am sick and tired of many of these #staywoke folks, who are actually still asleep if you ask me. As I look at many of the issues facing the Black community, along with the responses that have been given to those issues, I’m here to tell you that many of us are not just asleep, but are in a deep sleep – a deep sleep that has the potential to become a nightmare soon, if we don’t wake up from our slumber. Now don’t get me wrong. Let me put a pin right here and address the fact that I didn’t say all of the #staywoke folks are this way, because I know there are some extremely sensitive and reactionary folk that will read this and be ready to pounce on me without reading the entire thing first. Trust me…I know that there are a lot of people out here doing an outstanding job, seeking to address these issues we are faced with. Many of them are participating with organizations and entities that are on-the-ground and making a tangible difference. I have also visibly witnessed the efforts of some tremendously generous, gifted and philanthropic individuals, who are doing more than talking loud or taking on the mantle as the community’s keyboard activist. They are putting in some real work. But, I am here to tell you. There are more folks doing absolutely nothing, than there are doing something realistic and tangible. I get so tired of hearing the usual community-crier raise their voice about what they believe our collective problems are, yet have not got in the trenches to apply their proposed “save-the-day” solutions to solve those problems. They are so damn woke that they can tell you what’s wrong with our schools, with our youth, with our communities…blah…blah…blah. But as I look at their resume (and I am not talking about the one that is written on paper to make us look good) I don’t see any real accomplishments that are in line with the constant rhetoric they spew. Many of these #staywoke folks are quick to criticize the actions, suggestions or ideas of others, but have nothing more to offer than critique and a lack of tangible solutions. I don’t know about you, but nowadays I feel like I’m fighting in one of the biggest boxing matches in the world, where I have multiple opponents, as opposed to just one. It would be one thing to fight against the people who perpetuate and promote the cultural, social and financial nuisances that continue to plague our communities. But no, I have to also contend with a lot of Black folks in our communities who need hope and a vision for their lives. I also have to deal with some Black folks who feel like their vision for the Black community is so much better than everyone else’s actual contributions to the Black community, but have nothing to show for their rhetoric except…well, rhetoric. What do I mean by that? Glad you asked. I often find myself constantly advocating for more opportunities and access to the necessary resources that we as a people need to grow our communities and better our lives, while also fighting against the injustices Black people are faced with every day. But as soon as I begin working collaboratively with those who are realistically looking to make a difference and implementing our ideas, I have experienced many of these #staywoke folks come out of nowhere, just to brag on how I am doing it wrong and how they can do it better than me. All the while, our communities continue to suffer from a lot of these historical and systematic institutions of discrimination, as they sit on the sidelines and offer nothing more than a critique, as opposed to offering a true helping hand. You have probably gone through it or witnessed it yourself. Many of these #staywoke folks consistently sit back and do nothing practical about what’s really going on in the Black community, and then have the nerve to say stuff like “I told you so” or ask the proverbial “Where are our leaders?” question. This has got to stop, if we want to truly be “woke” in the midst of this organized chaos we are living through. What good is it to be “woke” on paper, when we are still seeing Black people suffer and be abused in many ways? I got some questions for the #staywoke folks out there, who ain’t really “woke” at all. What are you doing, other than criticizing the efforts of those who are actually implementing some solutions, as it relates to the problems with our criminal justice system? What are you doing relative to Donald J. Trump’s proposed fiscal year 2019 budget that negatively impacts Blacks and poor people, and takes away the ability of those who receive assistance through the Supplemental Nutrition Assistance Program (SNAP) to choose their own food versus being given a box of rationed food? What are you doing relative to Attorney General Jeff Sessions’ rollbacks of prior policies, to increase judicial punishment for marijuana offenses, or his endorsement of the FBI report calling Black people who protest police brutality “Black Identity Extremists” or his remarks at the National Sheriffs Association winter meeting, where he told attendees that “The office of sheriff is a critical part of the Anglo-American heritage of law enforcement”? What are you doing about Voter ID laws? What are you doing about Harris County spending your tax dollars and fighting not to make bail affordable for those who don’t have the money to afford it? 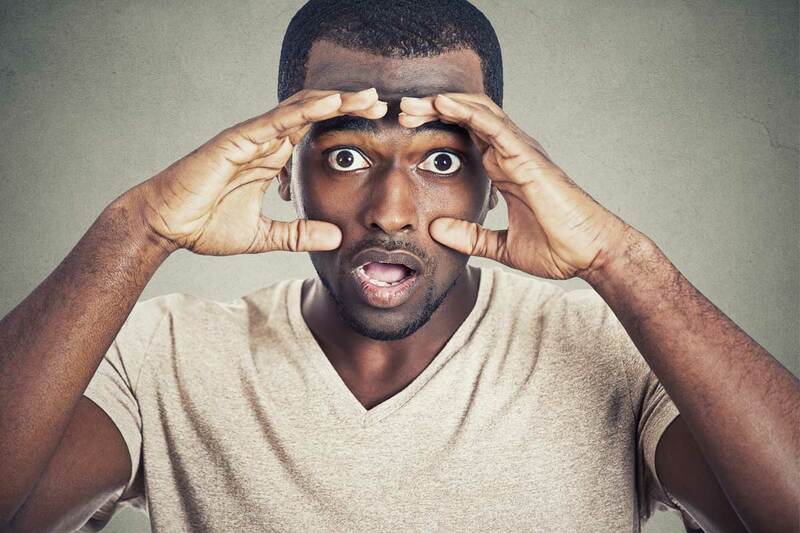 What are you doing about the wealth gap between Blacks and Whites increasing every year? What are you doing about the educational crisis for Black kids, or ensuring they have the ability to generate money through employment or a career trade? What are you doing about the inability to get affordable healthcare? I mean, I could go on and on with questions, but you get my point. Less talk, more action. If you have the solutions, let’s see you implement them and make something happen. I’m tired of hearing your mouth. Do something different, other than talking or being a keyboard activist. Until you decide to get in the game instead of just being one of those #staywoke folks on paper, I will continue to do what I have to do to make a difference in whatever capacity I can. Jeffrey L. Boney serves as Associate Editor and is an award-winning journalist for the Houston Forward Times newspaper. Jeffrey has been a frequent contributor on the Nancy Grace Show and Crime & Justice with Ashleigh Banfield. Jeffrey has a national daily radio talk show called Real Talk with Jeffrey L. Boney, and is a dynamic, international speaker, experienced entrepreneur, business development strategist and Founder/CEO of the Texas Business Alliance. 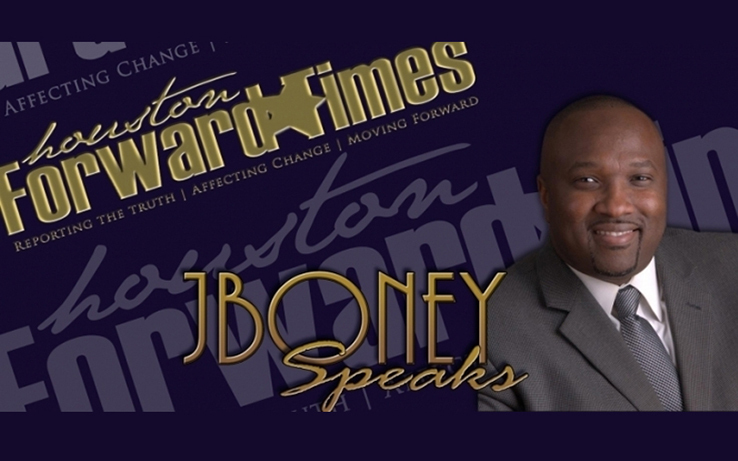 If you would like to request Jeffrey as a speaker, you can reach him at jboney1@forwardtimes.com.